The quickest way to travel from Koh Lipe to Koh Samui is to take a direct ferry to Krabi and then fly from Krabi to Koh Samui. This is also the most expensive option. For about half the cost you can take a joint speedboat, minivan and ferry transfer service that will arrive in Koh Samui on the same day as you depart Koh Lipe. Stage 1: Speedboat from Koh Lipe to Pakbara Pier on the mainland. Stage 2: Journey by minivan from Pakbara Pier to Trang. Stage 3: Journey by another minivan from Trang to the ferry port in Surat Thani Province on the east coast. Stage 4: Ferry journey of 1 hour 30 minutes to Koh Samui. Infants aged 0 to 3 years old travel for free on an adult’s lap. The speedboat for the first stage of the journey departs from Pattaya Beach in Koh Lipe. Check in at the ‘SIRI BARA’ counter near Moonlight Bungalows. The direct service from Koh Lipe arrives in Koh Samui at Lipa Noi Raja Ferry Pier. Koh Samui is Thailand’s second largest island and the island which receives the second largest number of tourists each year, Phuket is number 1 in Thailand in both respects. In many ways Koh Samui is similar to Phuket as both islands have an airport, the main industry in both Phuket and Koh Samui is tourism, and both islands have substantial infrastructure and large brands catering for tourists. The big differences, however, are that Koh Samui is significantly cheaper than Phuket and retains much more of an authentic Thai island feel. There are quite a lot of things visitors to Koh Samui can do during a vacation to the island. Koh Samui is part of a cluster of islands. 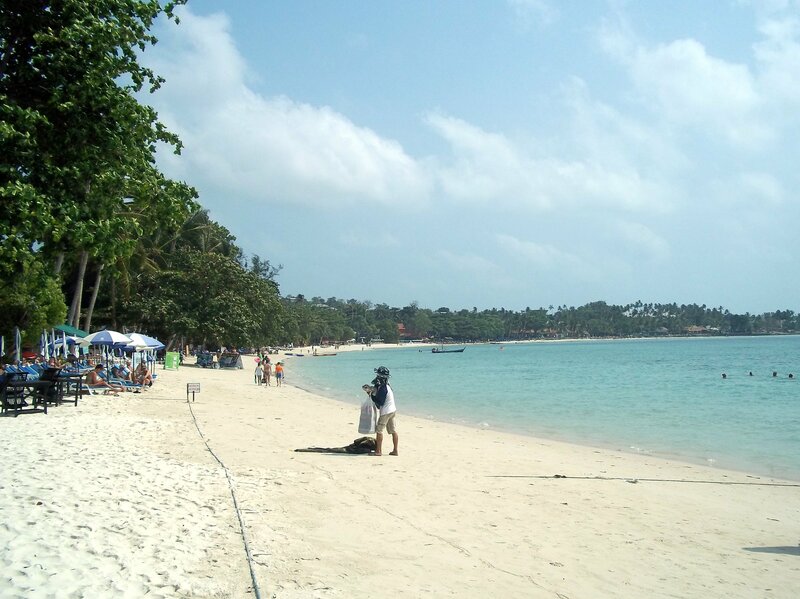 The largest island nearby is Koh Phangan, which is much less developed than Koh Samui and is the location of the famous monthly Full Moon Party as well as other more frequent dance parties. Nearby to Koh Samui is the Angthong Marine which features lots of small beautiful island with abundant fish and great places for snorkelling and diving. Koh Samui itself has a large jungle in the centre with hills and several impressive waterfalls. Many companies offers tours and activities in forested interior of the island. More family friendly activities such as golf, Go-Karting, zoos and animal shows are also available. In the evening time the main tourist towns in Koh Samui (Chaweng, Bophut and Lamai) have a lively restaurant and bar scene.